A version of this article appears in Flaunt with the headline: The Haas Brothers Show Us the Art that Influenced Them Most For Their New Exhibition. We’ve long loved the Haas brothers, so much so that we had them design the cover for our behemoth Califuk Issue a couple years back. So when we heard that UTA Artist Space was hosting the first-ever large scale solo art exhibition from our favorite multifaceted sculptors, designers, craftsmen, and artists, we knew we’d have to swing through. 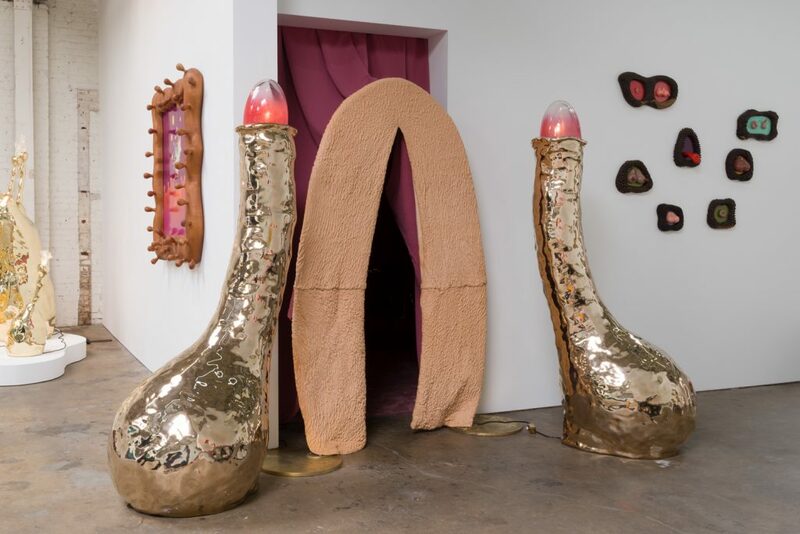 Titled Haas Angeles, the show will be the biggest exhibition put together by twin brothers Nikolai and Simon Haas yet, and commemorates the one-year anniversary of UTA Artist Space in Los Angeles. Haas Angeles highlights the finest pieces of the brothers’ careers, with work that exemplifies their interest in sexuality, color theory, and psychedelia, and their ability to execute their irreverently lovely vision with a creative use with multiple alternative materials—including brass, bronze, porcelain, buffalo fur, and epoxy clay. Haas Angeles is open from September 9–October 14, 2017.